McLeod Health June, 2015 Florence, SC Construction Services Group Included furnishing and installing interlocking lead bricks, lead lined plywood, sheet lead on walls and ceiling and lead lined solid core wood doors and frames. Riverside Methodist Hospital December, 2014 Columbus, OH Whiting-Turner/Corna Kokosing Included furnishing and installing 12" of steel on the linac vault ceiling. This was accomplished using layers of 1/4" thick steel plates and staggering the seams. It was not possible to utilize heavy machinery to install the plate so they had to be cut to sizes that would be manageable to install manually. 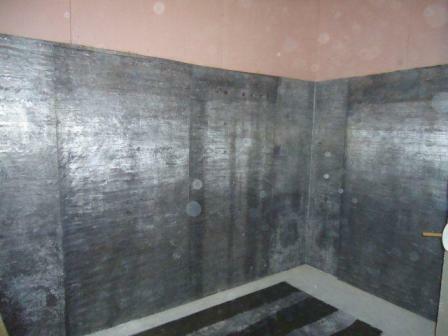 The sliding neutron door and duct shielding for the second linear accelerator room is to be completed some time in 2015. 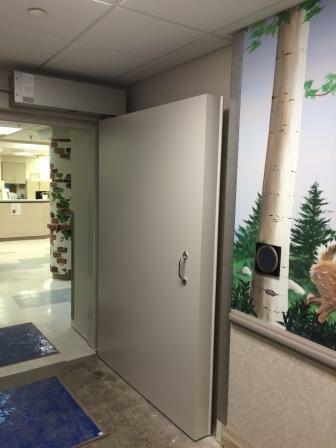 Thomas Cancer Survivor Center at Methodist Medical Center December, 2014 Oak Ridge, TN Johnson Galyon Included the removal of an existing neutron swing door for a linear accelerator vault, and replacing it with a new neutron swing door. The new vault door consisted of 1/4" lead and 2" of 5% borated polyethylene. DePaul Cancer Center October, 2014 Norfolk, VA WM Jordan Included the installation of two direct shielded sliding neutron vault doors for linear accelerator rooms, one HDR vault swing door, and 4" lead shielding on four walls for the linear accelerator rooms. 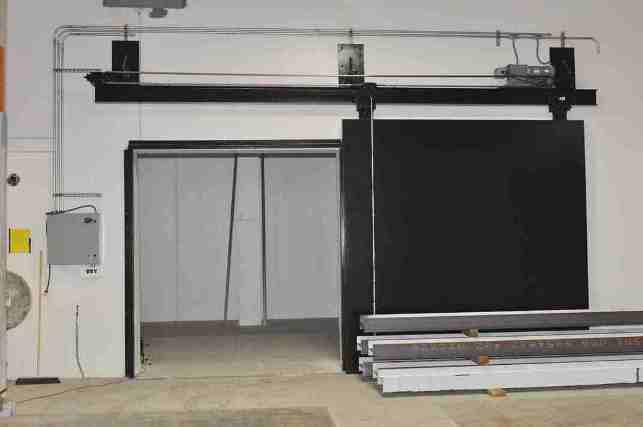 The sliding neutron doors included 4" of lead and 5" of 5% borated polyethylene. 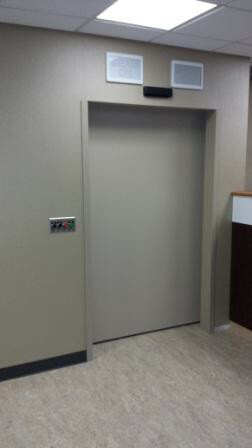 The HDR vault swing door consisted of 2" of lead. 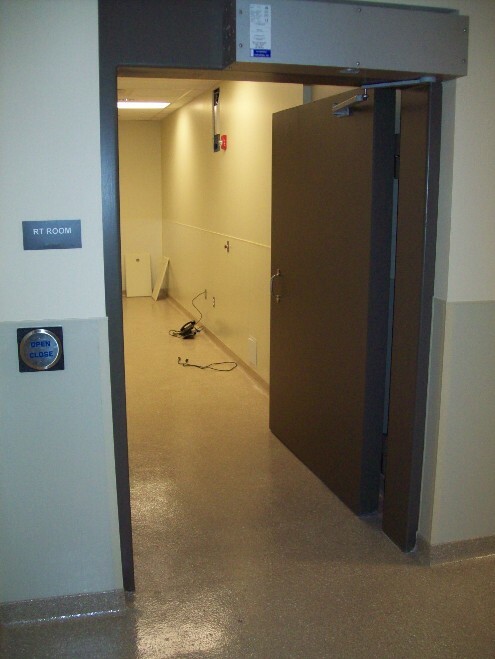 Manhattan Medical Center September, 2014 Manhattan, KS Hutton Construction Included furnishing and installing one direct shielded sliding neutron door. 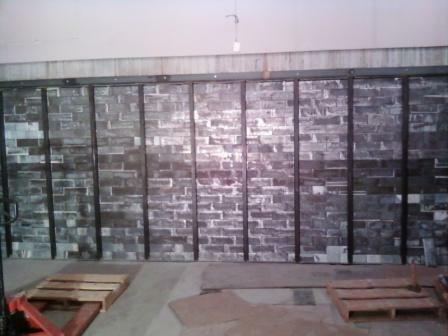 The door consisted of 6" of interlocking lead bricks and 10" of 5% borated polyethylene. CSNF Fleming Island August, 2014 Fleming Island, FL Sauer, Inc. 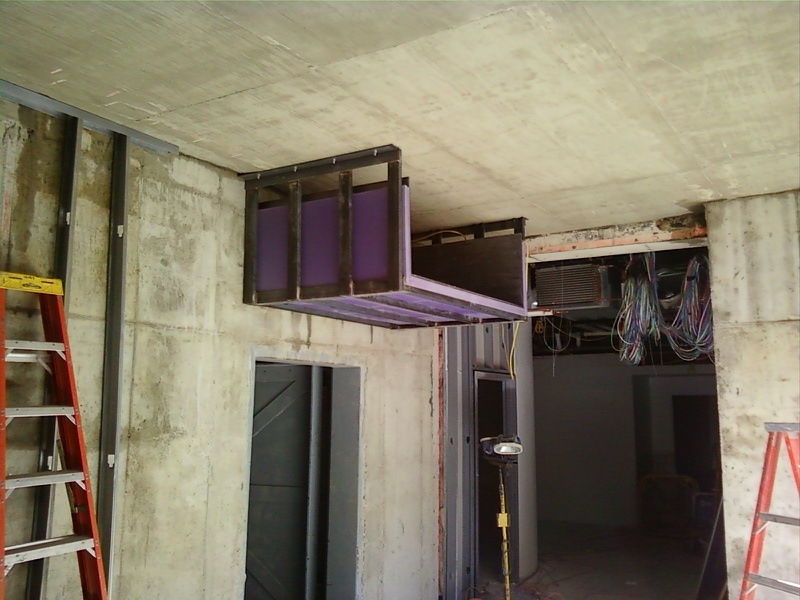 Included furnishing and installing one direct shielded sliding linac vault door. 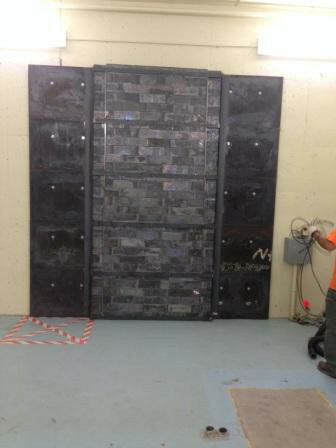 The linac vault door consisted of 6" of lead and 14" of 5% borated polyethylene. Accuray May, 2014 Madison, WI Iconica Included furnishing and installing 2" thick steel plate and 5" thick lead in two test cells at an Accuray facility. 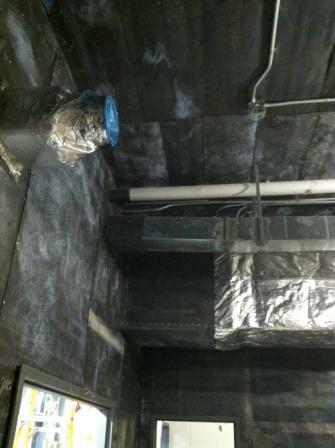 The shielding was required to go up 10'. 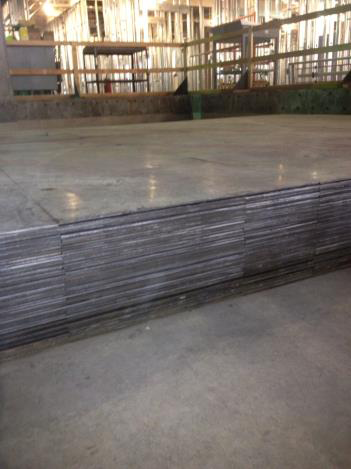 RPP used 2" thick steel plates at 2' x 3' to reach the 10' height requirement and layers of 2" interlocking lead brick and 1" interlocking lead brick to meet the same height requirement with the lead shielding. 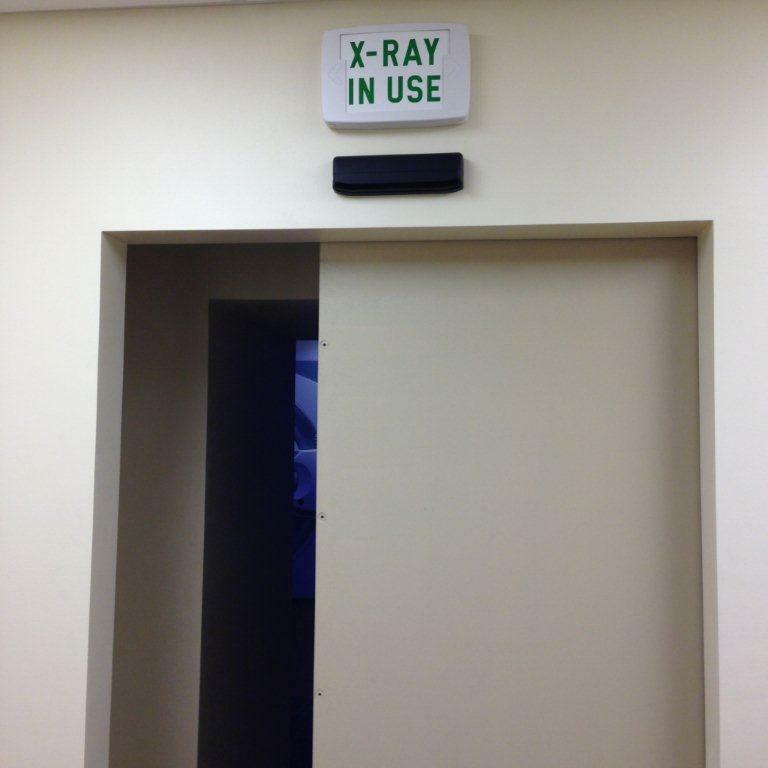 Graham Corporation April, 2014 Batavia, NY Manning Squires Hennig Included furnishing and installing a huge bi-parting x-ray door for a large industrial x-ray hangar. The total weight of the door was 10,000 pounds. Each door leaf was 9.25' wide by 20' tall and contained half inch thick lead lining. The top rail was heated to ensure proper functioning in adverse weather conditions. CSNF Skinner Cancer Center March, 2014 Jacksonville, FL Sauer, Inc. 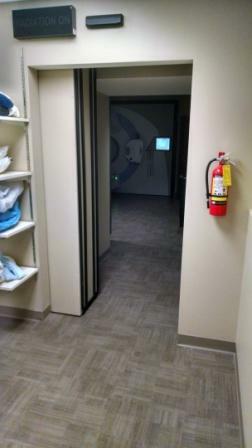 Included furnishing and installing one direct shielded sliding linac vault door, one sliding brachytherapy (HDR) door, and shielding the walls of the brachytherapy (HDR) room with 2-1/2" thick lead. 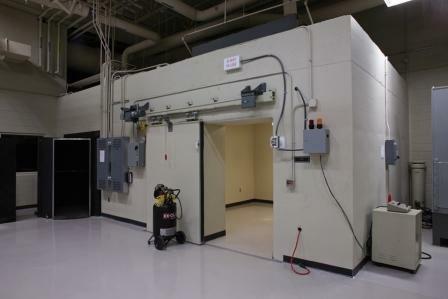 The linac vault door consisted of 6" of lead and 14" of 5% borated polyethylene. 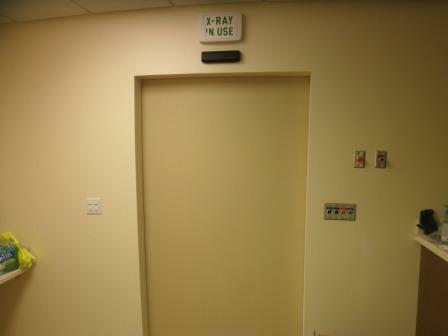 The brachytherapy (HDR)door consisted of 2" thick lead. 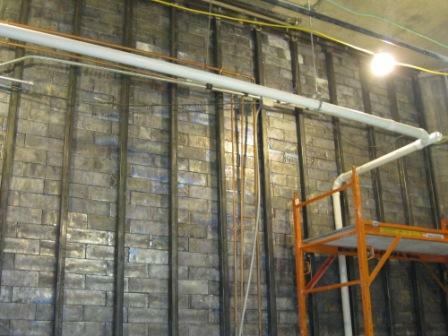 We used our 2-1/2" thick interlocking lead bricks for the brachytherapy (HDR) walls. Riverside Methodist Hospital March, 2014 Columbus, OH Whiting-Turner/Corna Kokosing Included furnishing and installing one direct shielded sliding linac vault door (neutron door) and HD block for duct shielding. 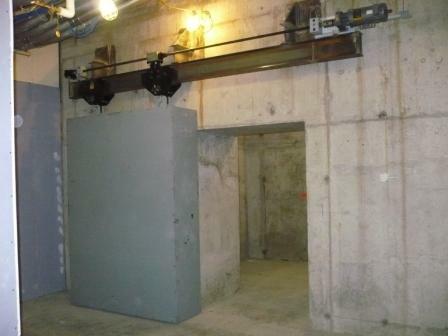 The linac vault door (neutron door) consisted of 5" of lead and 11" of 5% borated polyethylene. The HD block required a special platform for housing. This was the second phase to the project we began in May, 2013. 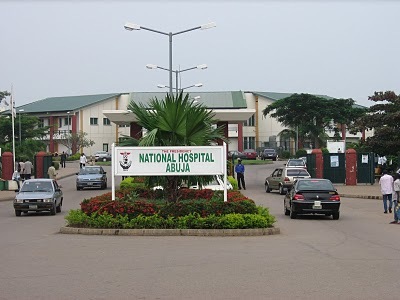 Radiotherapy Centre National Hospital February, 2014 Abuja, Nigeria Bishmur Limited Included furnishing 2 manual vault doors shielded with lead and borated polyethylene, solid core wood doors, and leaded glass with frame. Holy Name Medical Center January, 2014 Teaneck, NJ Phoenix Medical Construction Included furnishing and installing one direct shielded sliding linac vault door (neutron door) and 1" - 3" of additional lead shielding in an existing linac vault to prepare the vault for upgraded equipment. 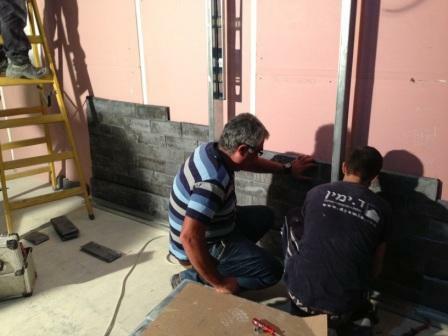 We used interlocking lead bricks fro the wall shielding. Centro Control de Cancer Ltda October, 2013 Bogota, Colombia Advanced Radiotherapy Corporation S.A. Provided two sliding neutron vault doors with all necessary components. Worked with contractor remotely to assist with install. Wisconsin Institute of Medical Research September, 2013 Madison, WI Boldt Construction Included the manufacturing and installation of lead bricks, lead lined plywood, and lead lined doors. One of the solid core wood doors required 5/8" thick lead. 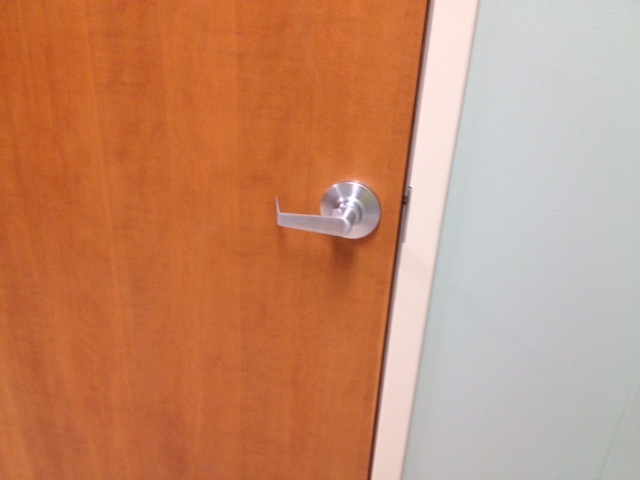 this made the door approximately 1200 pounds and required heavy duty Rixon pivots to support the weight. University of Chicago Comers August, 2013 Chicago, IL Krause Construction This project included manufacturing and installing the following lead products; interlocking lead bricks, lead lined plywood, solid core wood lead lined doors, and misc sheet lead. 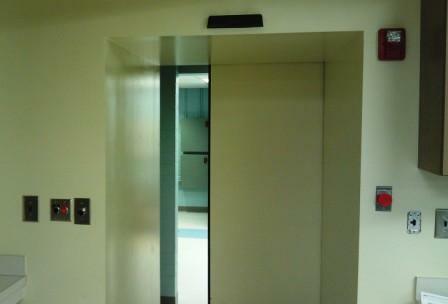 The solid core wood doors consisted of 1/2" lead and required heavy duty continuous hinges to handle the weight. Shaare Zedek Medical Center June, 2013 Jerusalem, Israel D.Yamin and sons (GC) / Rubinstein Ofer Architects Included design consultation and materials for the addition of a PET/CT suite at the Shaare Zedek Medical Center. Materials consisted of interlocking lead bricks, lead lined plywood, lead lined drywall, lead lined doors and frames and leaded glass. Riverside Methodist Hospital May, 2013 Columbus, OH Whiting Turner/Corna Kokosing Included furnishing and installing 12" of steel on the linac vault ceiling. This was accomplished using layers of 1/4" thick steel plates and staggering the seams. It was not possible to utilize heavy machinery to install the plate so they had to be cut to sizes that would be manageable to install manually. 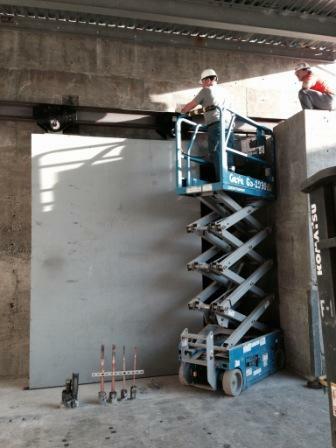 A direct shielded sliding vault door and some baffle shielding are scheduled to be completed in late November. Roudebush VA Medical Center February, 2013 Indianapolis, IN WestRac Contracting Included furnishing and installing 1980 interlocking lead bricks and the associated duct shielding for a linear accelerator vault renovation. Steel tubing and flat bar were used for the support system. Chancery Lane Medical Complex December, 2012 San Fernando, Trinidad ExecQtech Limited ExecQtech Limited was hired by the Trinidad government to transform an unoccupied office complex into a modern medical facility. 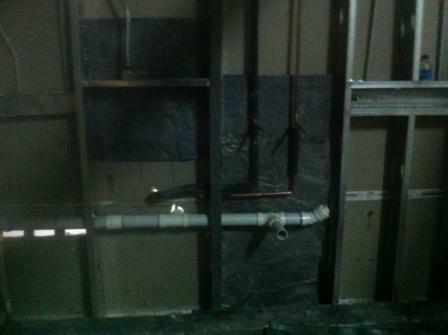 This was the first time ExeQtech had been contracting to install lead shielding. After purchasing the required materials from us, they insisted upon flying down an installation supervisor to ensure the process was done correctly. UNL Behlen Lab High Power Laser Science Collaborotory July, 2012 Lincoln, NE Elkhorn West Construction Included furnishing and installing 2186 interlocking lead bricks. Most bricks were used in the ceiling shielding, however some bricks were utilized to shield duct penetrations on the floor and on the upper wall. Mid Atlantic Veterinary Specialists June, 2012 Malvern, PA RE Builders Included furnishing and installing an HDR door and frame. We sent the frame to the job site with specific installation instructions and the frame was poured in concrete by the contractor. Due to space constraints, the owner wanted the door to be pushed open rather than pulled open. This required a special arm as seen in the photo to the left. 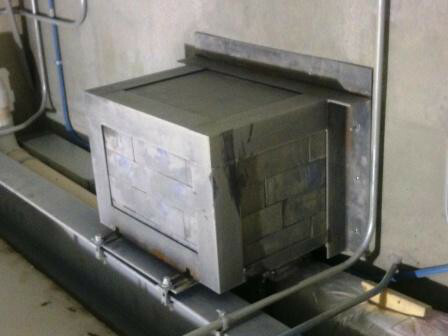 Gas Turbine (for confidential client) June, 2012 Charlotte, NC Gray Construction Included furnishing interlocking lead brick for an industrial x-ray room at a testing facility (confidential client). 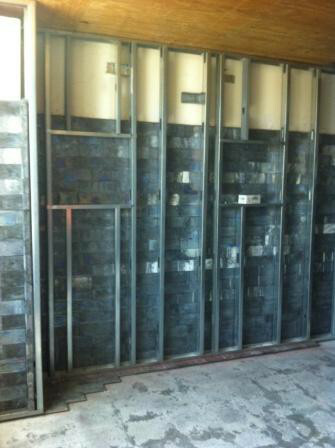 RPP furnished and installed the 1" thick interlocking lead bricks with a steel tube support system. In addition, RPP furnished and installed the finishing materials like drywall, mud and tape, and paint. Metrohealth Linac Replacement April, 2012 Cleveland, OH Infinity Construction Company, Inc. This job consisted of installing one HDR door and frame. This was a retrofit job. The frame was not poured in concrete. To reinforce the frame we used 1/4" x 3" x 6" steel tubing welded to the jambs and header and attached to the floor and deck. Institue of Technology: New Sliding Vault Doors, Lead Brick Shielding & Borated Polyethylene Shielding November, 2011 Atlanta, GA R.K. Redding Construction, Inc. 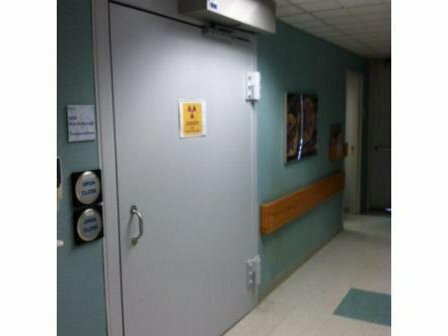 Included furnishing and installing two sliding vault neutron doors: one for a neutron generator room and one for a clinac room. The vault doors weighed approximately 18,000 pounds and 24,000 pounds, respectively. In addition to the vault doors, interlocking lead brick, 5% borated polyethylene and sheet lead were installed to shield various walls and duct and pipe penetrations in the ceilings. VA Medical Center (Linac Vault) August, 2011 Overland Park, KS Phoenix Medical Construction Assisted in design and implementation of additional shielding for a linac vault. 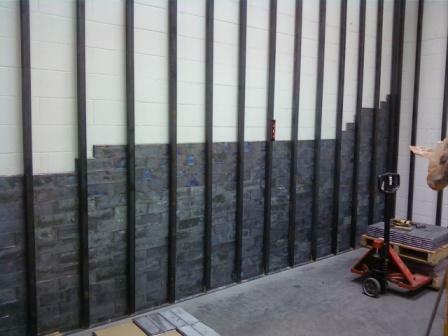 Included the installation and support system for approximately 3200 interlocking lead bricks. Princess Nora University March, 2011 Riyadh, Saudi Arabia DKS Medical Included consulation and development of shielding systems. 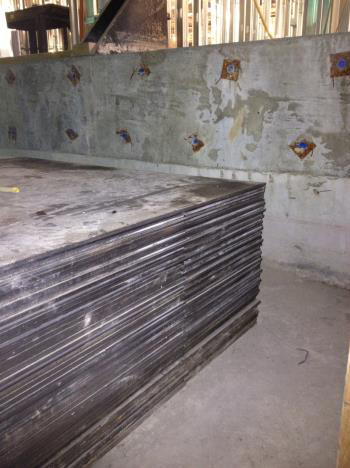 Provided sheet lead at various thicknesses and lead lined plywoood. Department of Energy/National Energy Technology Laboratory: New Radiation Shielding Sliding Vault Door August, 2010 Morgantown, WV URS Corporation Included furnishing and installing one radiation shielding sliding vault door. 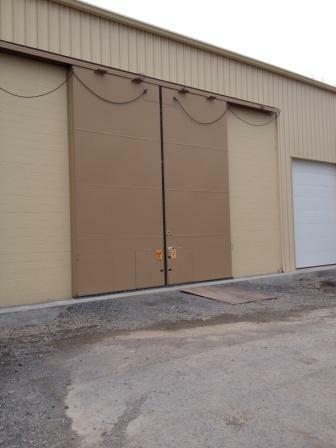 The door was oversized at 10'3" x 10'9" and required 1" thick lead shielding. We constructed a special crate on castors in order to transport the door shell effectively. We also supplied interlocking lead bricks to be installed by URS on the ceiling of the vault at a later date. Strongsville FHC Radiation Oncology Center: New Linear Accelerator Door & Duct Shielding July, 2010 Strongsville, OH Infinity Construction Co., Inc Included furnishing and installing one radiation shielding swing vault door (neutron door - 1" of lead shielding, 1" of high density polyethylene and 2" of 5% borated polyethylene) and duct shielding above the neutron door outside the room. Project was completed in four days.